Super Mario Land is perhaps the worst Mario game if you discount the original arcade game. 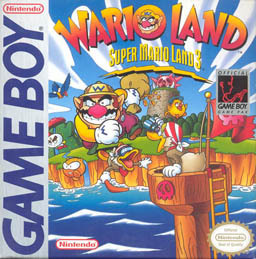 Mario Land 2 was short and sweet, and was almost as perfect as a Gameboy game could be. Now, we get a sort of spin off, Officially SML3, but spawning its own series which somehow has managed to squeeze out 6 sequels. So, if you have that many direct sequels, as well as the WarioWare spin offs, you’d guess this had to be a good game right? 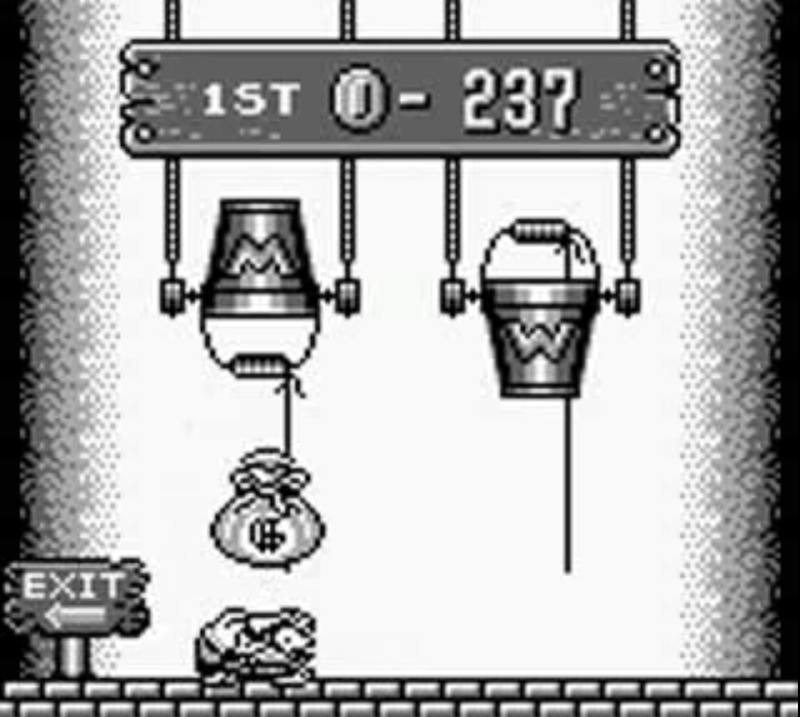 After Mario evicts Wario from his castle at the end of SML2, Wario goes in search of money to build his own castle. He travels to Kitchen Island where some pirates have hidden some treasure, he plans to horde this treasure and sell a very special Princess Peach Statue back to Mario in order to fund his castle. Mario turns up, borks your life plan, and then you use the money you collected throughout the game to build your castle. 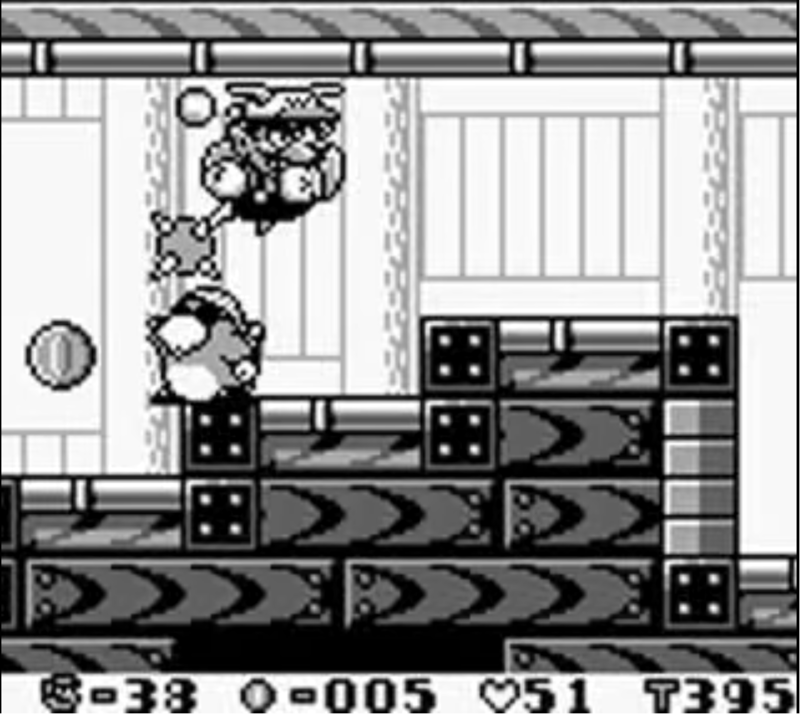 Wario Land is a platformer, so you run around, and jump on things. Money/coins are no longer used to gain extra lives, instead coins that are collected are banked and go towards your Castle Fund. Also scattered throughout the game are 20 secret treasures, which again, go towards your castle fund. Hearts are what you now collect to go towards extra lives, collect 100 and you get an extra life and at the end of each stage you can choose a minigame that will either give you more coins, or more hearts depending on success. Now for the weirder changes, Wario is sluggish. Not the game, but Wario himself, he moves very slowly and it takes a fair amount of time to get used to it. You don’t build up momentum to get a better jump, and there isn’t a “run” button. It means Wario can feel quite ponderous at times and makes jumping a little bit difficult in the early stages. There are also a number of stages where you have to break blocks to advance, you do this by using Wario’s barge ability, and to be honest, it is a little bit too much like filler. It offers no challenge, there is no puzzle to it, you just shoulder barge a block to carry on, so it merely wastes your time. However, as alluded to, Wario Land is chock full of secrets, be it the 20 secret treasures or the secret levels/exits, most levels have something for you to ferret around for. Some of these levels are harder, so will appeal to people wanting more of a challenge, but ultimately the point of this is to get more coins/treasures to go towards getting a better castle for Wario. The power ups you collect are effectively the same slightly different to what you have come to expect, bunny ears make you fly, but a spiked helmet allows you to stick to the roof, dragon hat gives you fire breath, and a pumpkin (I think it is a pumpkin) makes you large. Like Mario, one hit will make you small, being hit while small will kill you. However, when you complete a level you are always made big again. Rocket Powered Bunny Ears mean you can pretty much skip entire levels. 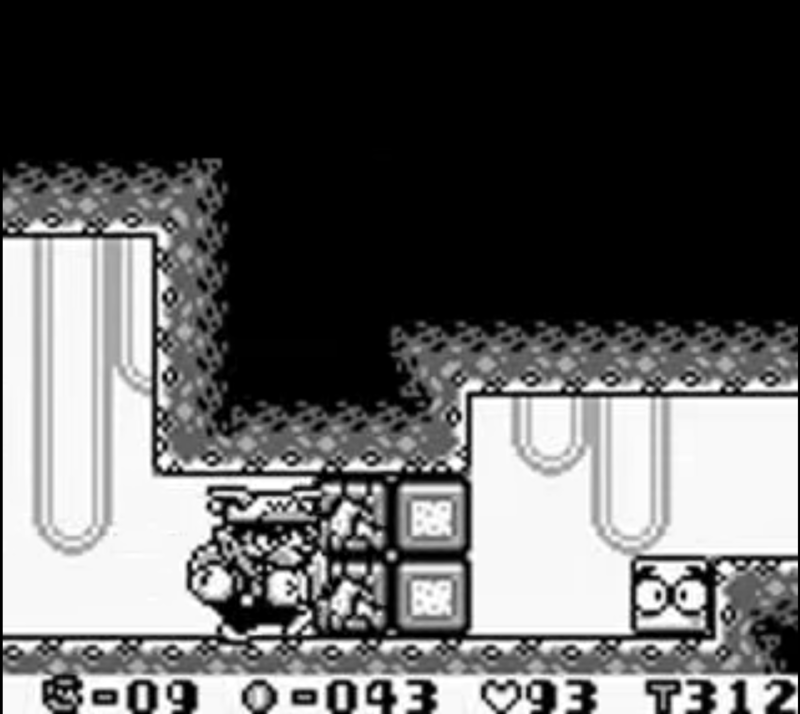 Wario Land is odd, the game feels slow and doesn’t feel like a Mario, but then, it ISN’T a Mario. The platforming isn’t as fun as SML2, but the extra levels and secrets balance out the slightly ponderous platforming. As it is, Wario Land is probably as good as SML2. It isn’t great, but you’ll have fun for a the two hours it’ll take to beat it. It scored 7 out of 10s up to high 80’s scores.